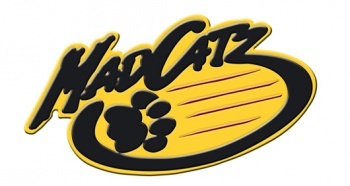 No longer content simply to stock GameStop shelves with garishly colored controllers, Mad Catz has formed its own internal game development studio. The studio, dubbed ThunderHawk Studios (likely in a bid to appeal both to fans of unnecessary capitalization and over-caffeinated teen boys), has been tasked with developing "a series of MMO flight simulators" the first of which is planned for release in 2012. "The addition of flight simulation games should leverage the market share leadership and global distribution enjoyed by our flight simulation hardware products. The formation of ThunderHawk Studios is an important milestone as we pursue our longer term goal of expanding our participation in developing, publishing and distributing games," Mad Catz CEO Darren Richardson said of the firm's new branch. As Shacknews points out, it makes a certain sense for a company that builds peripherals for flight simulators to also craft the actual games as well. Especially given the dearth of new titles in that particular genre. That said, outside of "FMV lacrosse platformers," MMO flight simulators is the least lucrative section of the gaming market for Mad Catz to dive into. They'd make far more money developing Angry Birds knockoffs for Facebook. Either Mad Catz knows something that the rest of us don't, or someone at the top of the company has no problem dumping a ton of cash in a quest to fulfill his love for flying fictional planes. I've got fingers crossed that this doesn't affect the company's recent evolution into a manufacturer of surprisingly high quality fighting game joysticks.